“This book ends here, at the very moment when we remember that the hands that wrote it, drew it, printed it, transported it, gave it, held it up as they read, turned from one page to the next, and closed it after just a few seconds look like, very much like, the hands of the animal who, for the first time in the history of evolution, put a fish in a pot of boiling water and ate it. That’s when this whole mess got started. While thinking about the kind of image I wanted to make to accompany the text, I realised I wanted it to be an ode to hands, celebrating “the sixteen bones and several dozen muscles and tendons that hang down from our arms” which make us human. I wanted to spend a moment making an image that reflected the capacity our hands permit us to make things, to create, to be artisans, whether is be cutting an onion or embroidering an image of the human hand. I have always been fascinated by everything hand-made, I marvel at how with practice one can acquire new hand made skills. I am saddened by the fact that while digital and industrial tools have evolved impressively, so many hand-made traditions are slowly dying out. 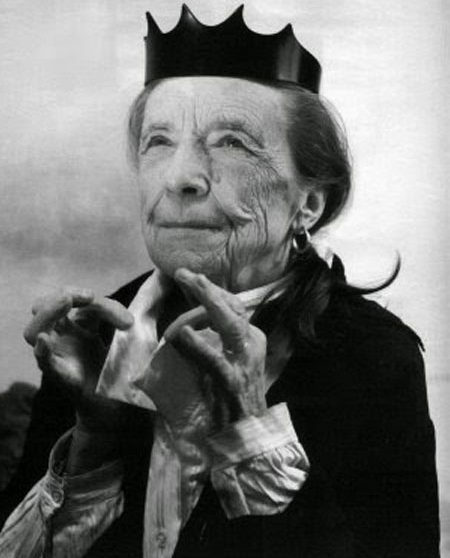 On the left a photograph of artist Louise Bourgeois. 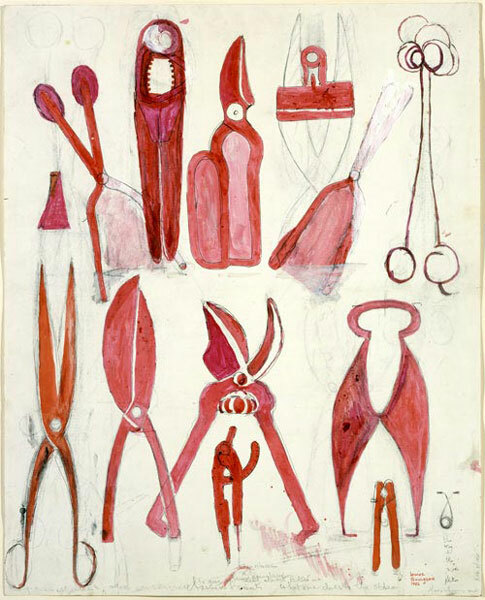 On the right her drawing of tools. “All craftsmanship is founded on skill developed to a high degree. By one commonly used measure, about 10,000 hours of experience are required to produce a master carpenter or musician. As skill progresses, it becomes more problem-attuned, such as the lab technician worrying about procedure – whereas people with primitive levels of skill struggle just to get things to work. At its higher reaches, technique is no longer a mechanical activity; people can feel fully and think deeply about what they are doing, once they do it well. 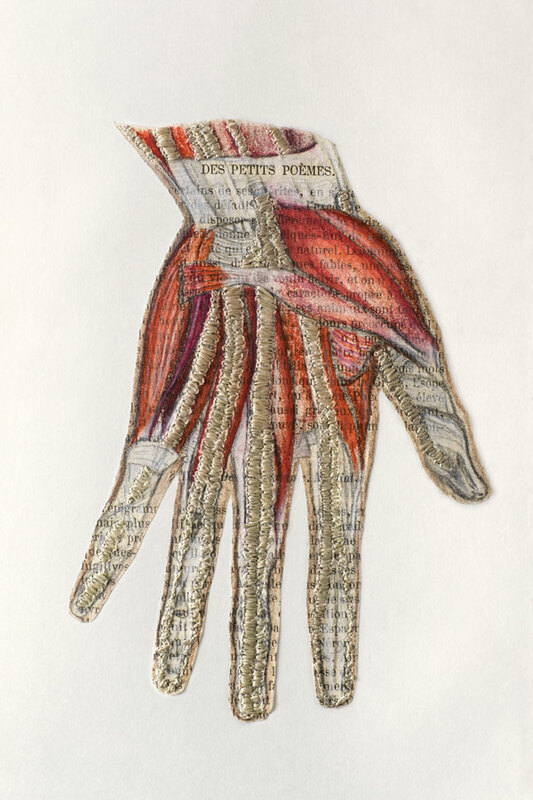 As the book ends with a chapter about hands, this will also be the last in this series of posts about my creative process for the images of this book. I will write more about hand-made techniques in future posts. For now, I wanted to write about my website, which was made public just a few days ago. It may seem contradictory to write about digital formats in a post dedicated to all things artisanal. 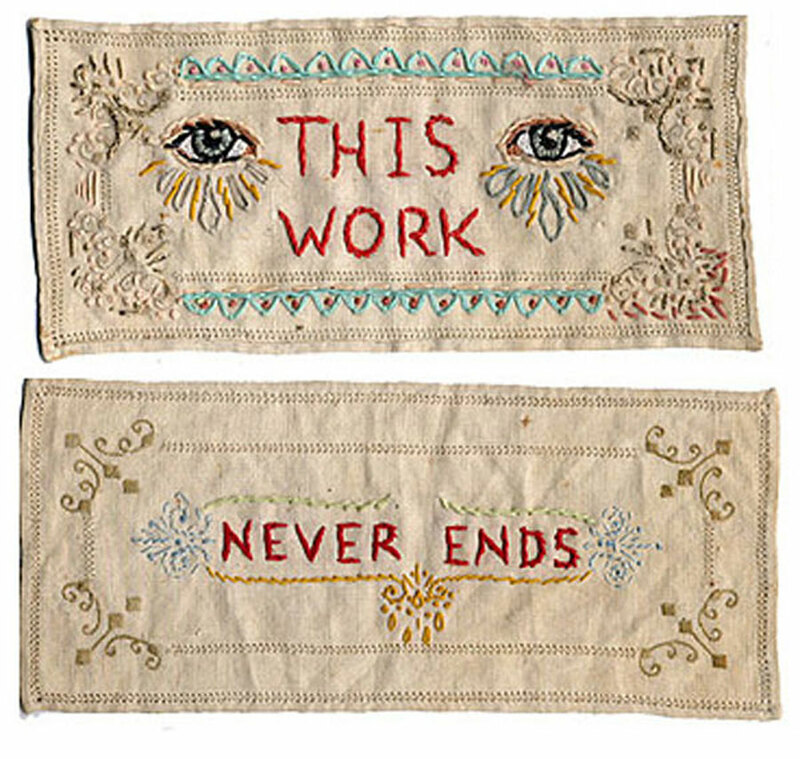 On the contrary though, the site includes an online portfolio which displays a range of my hand-made work. 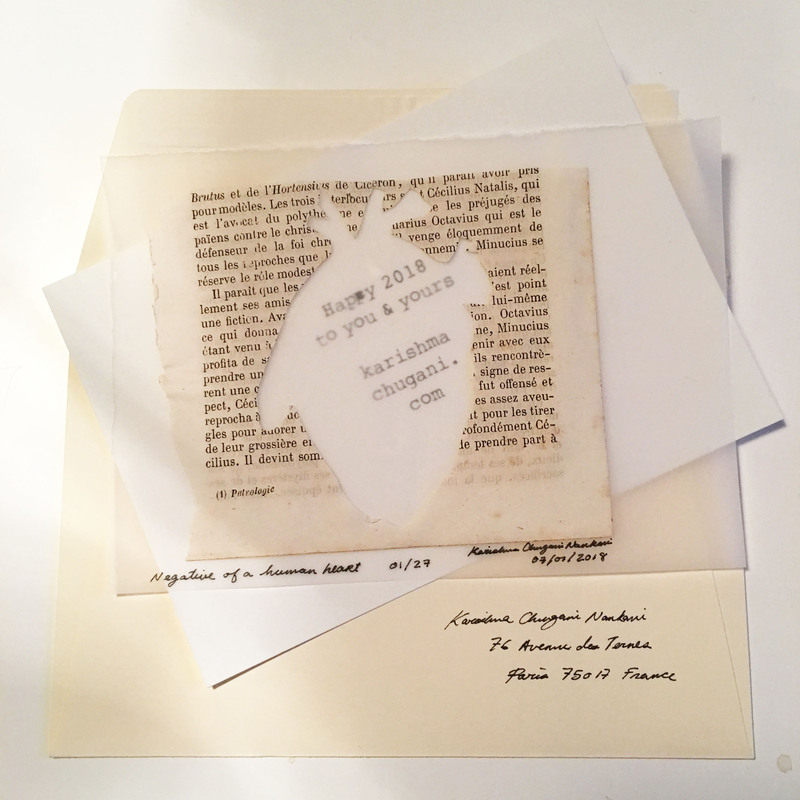 As well as announcing the launch on social media, here in this blog-post, and via email, I made a series of limited-edition hand-cut and hand-written cards which were sent off in the post on Friday. I love the idea of keeping up the tradition of sending cards and letters in the post, of writing them by hand and posting them off physically. In this small documentary, MH-Edtions (laser-cutting printers) with whom I collaborate frequently, talk about the tradition of sending new years greetings. My laser-cut Christmas garlands can be seen in the background of their studio. 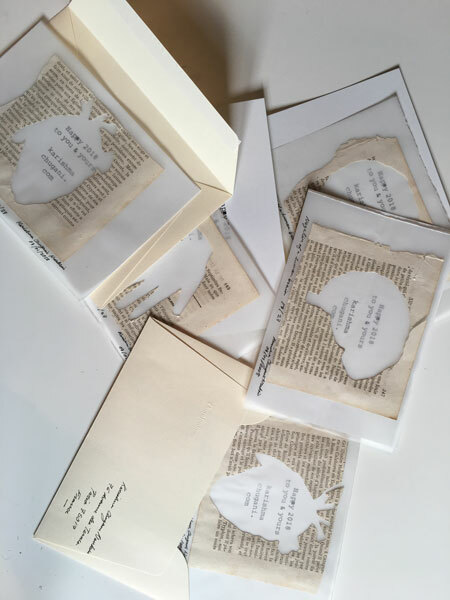 If you do receive one of these hand-made wishes, know that they are the negative silhouettes of hands, hearts, craniums and brains, all of which were cut to be glued into copies of the book as personalised dedications. Myself and Grassa Toro will be signing the book at the upcoming presentation of Biblioteca La CALA at Panta Rhei, Madrid on Thursday the 25th of February. Hope to see you there! Karishma Chugani Nankani is a storytelling artist. Here she will tell you a little bit about herself, about her creative process and things that inspire her. She is a compulsive student and has attended courses at schools such as Central Saint Martins College, Goldsmiths, Sotheby’s, City Lit, Universidad Autónoma de Madrid, and Escuela I CON I. 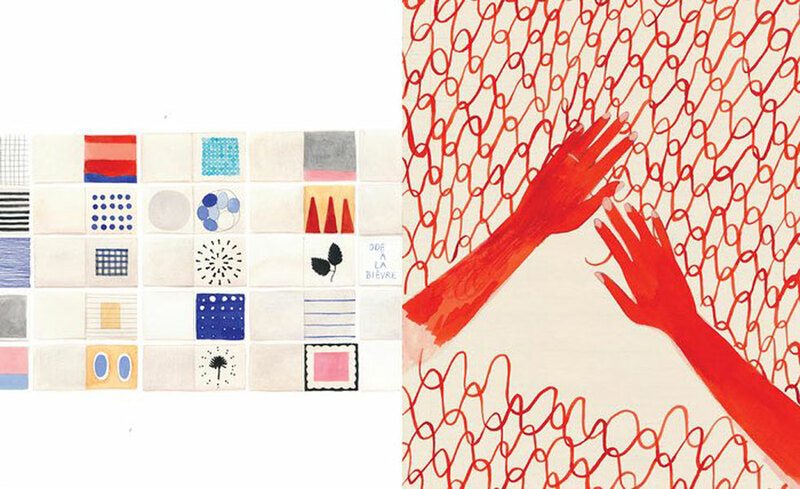 She has told and continues telling stories through words, through images, with an object or two, or through set designs. Her images can be seen in books titled: Raconte-moi Chqara et la musique andalouse, Leyendas del Rin. Words and images merge in other books of hers such as: To Night and Back ·Mece la noche and Las visitas de Nani. She has lived in Morocco, England and Spain. She currently lives in Paris, France as a sedentary nomad. 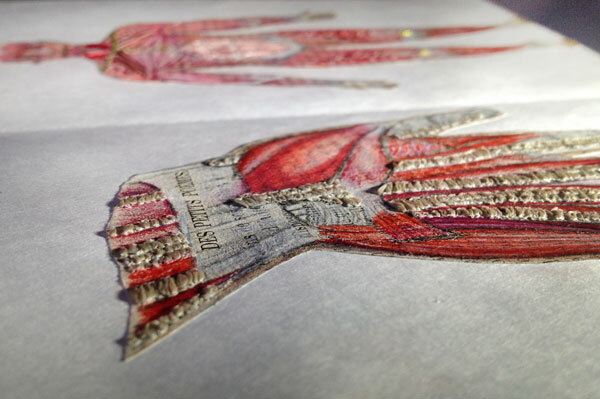 Este cuerpo es humano · This Body is Human is a poetic atlas of scientific anatomy. It conserves the original text by Grassa Toro from past out-of-print editions, and includes new images by Karishma. This new edition offers a very different reading to those dedicated to children’s literature. This bilingual Spanish-English edition is translated by Claudio Cambon. This book is being crowd-funded. Don’t miss this opportunity and to preorder a copy now. at La CALA de Chodes. stories to night and back. it ends with the dance of death.